The ancient medical science, Ayurveda, is best suited for modern, hectic lifestyles and the weight loss measures it suggests, come handy to many. Ayurveda literally means the science of life and is an ancient medical science that had developed in India thousands of years ago. The word ‘Ayur’ means life and ‘Veda’means science. This concept which deals with all aspects of human health and happiness, offers time-honoured methods of curing indispositions, major illnesses and obesity. And the remedies it offers are all easy, affordable and most likely already in your kitchen! Ayurveda’s holistic approaches function well on mind, body and soul and work in sync with various elements of body and nature, thus helping in curing ailments and in weight reduction in a pain-free, healthy and beneficial way. Below are the top five weight-loss remedies which are easy to follow, adapt and practice and they are all about eating and drinking…right and relaxing. 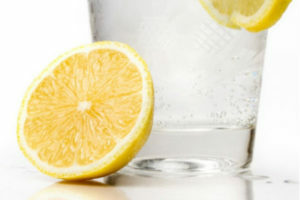 For the ones trying to shed some extra kilos, the first thing after waking up in morning should be consumption of warm water with an organic lemon’s drops in it. This stimulates the bowels, boosts the digestive system and helps in starting the day on a fresh note. Warm water helps in maintaining metabolism and breaking down the adipose tissue or body fat. It also helps in detoxifying body by cleansing it internally by working in the belly, and externally by causing one to sweat. And if you would prefer your mornings to be sweet and not bitter, add some honey to it which will also help in skin rejuvenation and hydration. Our bodies are set in accordance to natural time-cycles; Ayurveda and science, back this fact. When we eat is just as important as what we eat. Humans evolved to have a biological clock that is in sync with the Earth’s daily cycles and it is suggested that nearly every organ in our body follows this hidden, biological timekeeping. Eating regularly, at the right time and in right proportion has been suggested as a vital practice to lose weight by Ayurveda. The old age saying “Eat breakfast like a king, lunch like a prince and dinner like a pauper” holds true to modern days as well. Skipping meals is strictly prohibited but the time does matter. Breakfast is the most important meal and eating too late in the evening is particularly bad. Certain religious and cultural practices in India, demand the followers to have their last meal before sunset; It is believed that the sunlight kills certain microbes and germs present in the air, which is not the case at night. Also, since there are less physical hours at night, eating too much may lead to indigestion. Eating and drinking late may also lead to irregular sleep patterns and exceeded excretion needs. 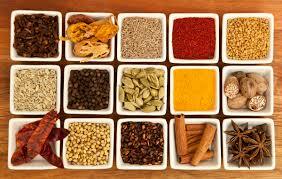 Adding ground spices to food can help to get rid of excessive body fat. Certain herbs and spices help maintain a healthy body weight by increasing metabolism, shrinking fat tissue and suppressing appetite. Ginseng, cayenne pepper, black pepper, cinnamon, turmeric and ginger all support weight loss goals when added generously to meals. Other obesity-fighting herbs and spices include cardamom, dandelion, cumin and mustard. In addition to their benefits for weight-loss, herbs and spices are actually some of the most potent antioxidants present in any food supply and may help fight heart disease and other chronic diseases, as well as premature aging. Meditation is a simple, powerful and relaxing technique to lose weight and can help develop harmony between mind, body and soul, thus taking care of the hormonal balances which lead to weight gain. Meditation helps in reducing Basal Metabolic Rate (BMR), by helping in reduction of calorie intake which automatically leads to weight loss. Coupled with Yoga, it helps one get rid of the desire to consume calorie rich food, which is often felt after an intense workout at the gym. 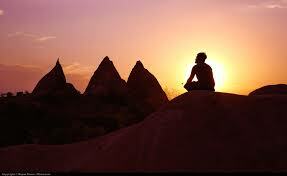 Mediation also helps relieve one from stress and eventually stress-eating and the extra calories that come with it. Stress in the mind has a direct impact on the tendency to keep snacking at odd times which only relives stress for a short period of time. But, when you meditate, you work naturally on the stress deeply stored in your system and lead to happy and healthy life. It is believed that there have been mentions of the Aloe plant in the Rig Veda, which is the earliest book of natural medicine dating back to BCE 4,500 and BCE 1,600. The green cactus look-alike plant which has its roots in various Indian households and folk-lores helps cure skin problems, beautify it when used as a gel and reduce weight when consumed in the form of juice. Aloe juice contains natural anti-oxidants that slow down the growth of free radicals in the body and has been scientifically proven to increase metabolism and reduce Body Mass Index (BMI) by helping turn carbohydrates and fats into energy rather than storing them. 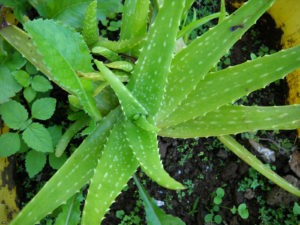 Aloe Vera stimulates production of collagen, a protein that promotes muscle development. Human body spends a lot of energy assimilating the collagen protein, and energy expenditure helps lose weight. Collagen also speeds up metabolism and ensures that food is stored in the lower intestine for shorter time periods. It is packed with vitamin A, B1, B2, B6, B12, C, E, folic acid, and niacin, all of which help to burn calories and reduce body fat. Solutions to various problems are shelved in Indian kitchens and planted in the backyards. There are various spices, herbs, fruits and vegetables that serve more than their primary purpose. Drinking juice squeezed out of fresh tomatoes is another way of working out on an expanded waistline. The stem of the aquatic plant, Lotus, is a great source of Vitamin C, helps boost immunity and fight viral infections. ‘Haldi-milk’, an ancient Indian remedy is now consumed in the West as turmeric-latte; this list of five things is just for you to begin with an India-inspired lifestyle.